Although Christmas is officially over, it is a bit too early to break out those Spring wreaths. 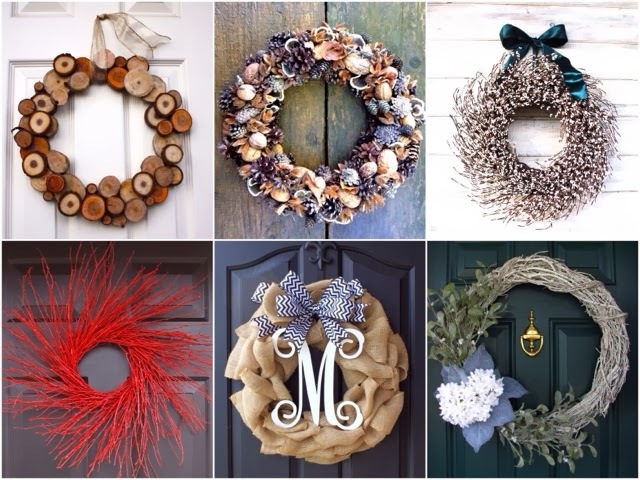 Here are some wintery, non-Christmas themed wreaths that I can't get enough of. I swear, I could hang a wreath on every door, window, open space, etc. if John would let me! And, of course, all of these were found on Etsy. 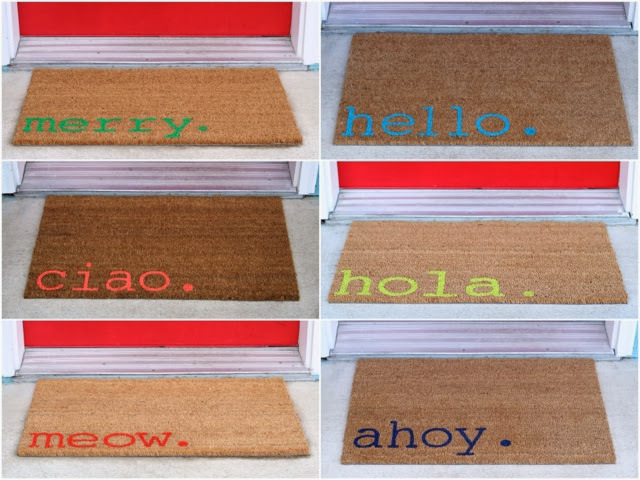 Also, while perusing outdoor decor on Etsy, I came across these welcome mats that I am googly-eyed over... I am totally thinking about trying to DIY one of these some day soon. Please tell me that you love these too! The Etsy shop is called My Beautiful Mess Shop - check it out... so many cute welcome mats! Lastly, I finally got around to watching the Bachelor last night. Oh my word. If you saw it, you'll know what I am talking about, but he called a someone's name during the rose ceremony, and the there was a girl that thought he said her name and came forward... awkwarddddd! I totally felt for her because THAT WOULD HAPPEN TO ME. I seriously have every intention of changing out the wreath on our front door, but it has been the same one for the last 3 years....WHOOPS! But these are all so pretty I may have to add something else into the mix! Thanks for the push lol! I LOVE wreaths. I know it is the weirdest obsession, but they are too dang cute! I am on the hunt for a seasonly appropriate one's right now (so thanks for sharing!) Those rugs are also the cutest thing of life and I need one!